Korea has risen immensely in importance as a target market for international brands. Over 80 million people world over speak Korean with sizeable populations of ethnic Koreans in the United States, Japan, China and Russia. Data suggests that less than 10% of Koreans know English. Now consider this. Different surveys reveal that there is an undeniably strong link between in-language customer service, content and a consumer’s likelihood of making a purchase. According to a survey of global web users, language affects the purchasing behaviours. 72.1% of consumers spend most or all of their time on websites in their own language. 72.4% of consumers said they would be more likely to buy a product with information in their own language. 56.2% of consumers said that the ability to obtain information in their own language is more important than price. That’s correct. More than half of consumers are willing to pay more if you are willing to give them information in their own languages. Customers expect to be able to contact a company with questions, special requests or problems related to ordering and are naturally more comfortable if they can communicate with customer service in their mother tongue. If Korea is your target market, providing Customer and Sales support in Korean is essential to your success. We understand that it is a costly affair for businesses to internally hire Korean speaking agents and have them work during Korean business hours. Therefore, we offer a cost-effective solution to businesses wherein you can outsource your Korean Sales and Customer Service to us and we help you grow fast in the Korean market. 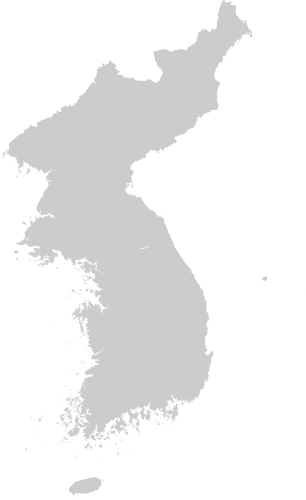 With the local presence in Gangnam and Seoul Korea, we provide you with native speaking Korean customer service agents who have an intimate knowledge of the language spoken in different parts of Korea and understand the intricacies of regional dialects. Our agents are fluent in both written as well as spoken Korean. All our agents are bi-lingual and can speak and write in perfect American English. Many of our agents have had the American and Canadian college education, and some have even worked in the United States before moving back to South Korea. Our native-speaking Korean call center agents have an unparalleled understanding of brand voice and the intricacies involved in adapting that voice to a global landscape. They not only communicate your product, service or message in Korean but also make it linguistically and culturally appropriate to your target market. So unlike translators or automated translation service that provide word-for-word translation and have a passing familiarity with Korea’s culture, our native Korean call center agents are able to explain the unique contest of the conversation. A successful localized product or service is one that appears to have been developed within the local culture and is well accepted by its audience- a factor that can make all the difference in your Korean business venture and can only be accomplished by Korean agents who truly understand Korea’s linguists and cultural nuances. Our services range from Sales, Cross-sell and Upsell in Korean, Customer Support in Korean, Technical Support in Korean, E-mail Support in Korean, Phone Support in Korean, Order Management, Live Chat in Korean, Retention, Phone answering service in Korean, Fraud monitoring and investigations, Chargeback management and Social Media management in Korean. Koreans enjoy the fastest Internet speed in the world with 95% population having Internet broadband access and two-thirds own a smartphone. South Korea is growing rapidly as a global market and a lot of international brands have chosen Korea as a focal destination to expand in Asian Continent. Starbucks and Northface are just some of the examples. South Korea is known to have the best IT and communication infrastructure, ranking first in e-government. It is understandably categorised with China as the hottest markets for global e-commerce, which reflects in their retail e-commerce sales that were pegged at USD $33.11 billion in 2014 and is expected to rise to $47.83 billion in 2018. Korean’s consumer’s affinity for international brands and their high sensitivity to fashion trends and fads spell ample opportunity for anyone that can capitalise on it. There is high demand for clothes, cosmetics, and accessories, especially the ones worn by celebrities.